There’s been talk in the beauty world recently that eye art is the new nail art. Why? First of all, there are endless possibilities. Smoky, bright, matte, shimmery…you can try it all. Second, it’s easy to experiment with different colors and get a unique look every time. Third, it makes less of a ‘POW!’ statement than, say, a bold lip; many beauty lovers are more comfortable with this type of beauty. There are so many palettes on the market that it can be kind of overwhelming to choose which one to go with…well, The Daily Pamp’s here to make that decision a little easier. We’ve rounded up our favorite shadow palettes on the market – read on to discover our choices. Tom Ford Eye Color Quad – The Holy Grail. This eyeshadow palette is something every luxe beauty lover dreams about. The colors are perfectly matched in different finishes – sheer sparkle, satin, shimmer, and matte – to get you a drop dead stunning look. Smashbox Full Exposure and Wondervision Palettes – When buying your first palette, it’s a safe bet to go with something like Full Exposure, which is comprised of lovely neutrals that you can use with almost any look. If you want to have a bit more fun, though, expand your collection to include the gorgeous Wondervision palette. The mega-palette includes 34 shades for your eyes and cheeks, ranging from matte to metallic. Urban Decay Nakeds (1, 2, 3) – Has the debut of a palette ever caused as much of a frenzy as the Naked 3 recently did? That chaos was due in major part to its legendary predecessors. These palettes are a favorite amongts vloggers, editors and beauty junkies. Each palette is distinct, yet has the longevity and beautiful pigments that are synonymous with the Urban Decay brand. Anastasia Beverly Hills Lavish and Catwalk Palettes – Just try scrolling through your Instagram feed and not stumbling on a picture of a makeup artist using one of these palettes to create her look. What’s so special about them? The colors are fun, unique and highly pigmented, but they are wearable. The Lavish Set comes with tweezers, eyeliner and a brow pencil, making it a total steal. MAC Antonio Lopez 6 Eyes – This palette is proof that packaging is everything. MAC’s limited edition Antonio Lopez compact is so pretty that it barely crossed my mind to take a look at what the actual shadows looked like. Don’t worry – those are pretty gorgeous, too. 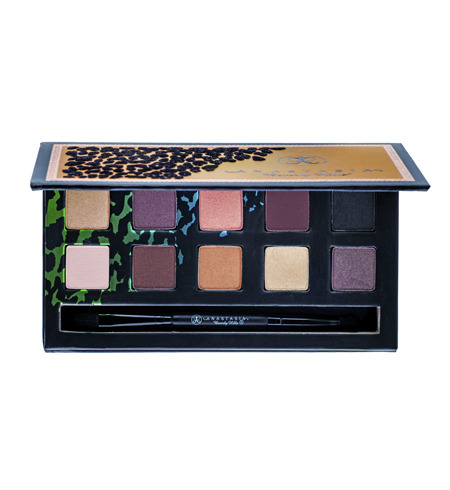 Motives Fantasy Palette – Motives is a fairly new cosmetics line that was founded by Loren Ridinger and La La Anthony. This line seems to be going the Anastasia Beverly Hills route: lots of Instagram and YouTube publicity – bloggers love it! The Fantasy Palette includes soft, feminine colors that are long lasting and mineral-based so they’re safe for sensitive eyes. EM Michelle Phan Shade Play – Michelle Phan may be new to the world of selling cosmetics, but the girl knows what she’s doing. The famous vlogger’s EM collection features these stunning Shade Play palettes, which are creamy and blend easily to create gorgeous finishes. ELF Eye Enhancing Eyeshadow – Offered in a variety of pretty shades, these palettes can create gorgeous looks for both day and night. Oh, did we mention that the palettes – which contain 6 different shades – cost $6…yes, you read that right. Six. Dollars. What are you waiting for? Pick up every color!